Promoting a new website around natural keywords for achieving the best search engine ranking is a hard nut to crack. Comparatively, a new website with less traffic faces stiff competition from big portals and e-commerce sites with respect to the online sales and promotion. In order to register a web presence, a new website requires cutting edge strategies to cut through the competition and increase online visibility. Promoting the campaign only around certain keywords of local nature related to an industry popular in certain geographical area is one of the best ways to promote a website slowly but steadily. The campaign begins with a pay-per-click campaign for some popular keywords. This would help the brand to register the necessary web presence and the rest of the SEO strategy must be weaved around those keywords which have gained immediate and valuable web presence. The next step to implement strategy is to look for the keywords and their implementation for about the next three months on criteria of intensive traffic, high conversion rates and low level of competition. In selecting the keywords of local nature, the variations of broader keywords are of immense help and guidance in leading the campaign to the next level. 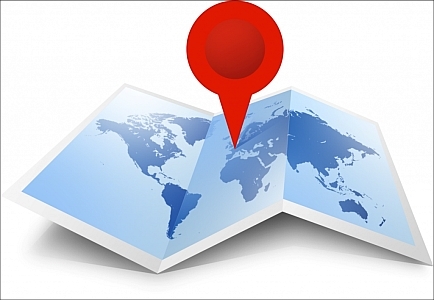 Cities and locality’s name mixed with the natural keywords bring good result in geo-targeting of the keywords. • Searching keywords: The keyword search to dig out phrases suitable for the SEO can be conducted in many ways. The first step of the keyword search is a deep understanding of the target audience and their method to search information about your product and services on the internet. Other tested and tried methods to search for the most appropriate keywords for the campaign are website analytics and the leading keyword tools. • Modification of the site design: After the selection of suitable keywords for the SEO campaign an online marketer concentrates his efforts on the website structure. The issues like duplicate content should be resolved without harming navigation and sitemap. The selected Geo-keywords now can be added to the site as part of on-page as well as off-page optimization. The contact and address should be included in the header and footer and on home page targeting localized keywords to promote a geo-centric SEO approach.